I would like to thank Dana Bright from Career Services who came and talked to us last week about job application documents. Creating these documents–affectionately known as resumes and cover letters–are difficult for students and professionals alike. The talk helped to add clarity around this ever evolving topic. Before I relay the highlights from the discussion, let me first stress that the items listed below are the norm. That said, there will be outlying situations that are not accounted for in these statements. The items below, like Dana mentioned, are the safe bet. I have broken down the information into 2 sections Cover letters and Resumes. Inside the Resume section there is information regarding government and industry resumes. Consult resumegenius.com for more detail. First and foremost, there is a big difference between the documents needed to apply to government jobs and those needed for industry jobs. As a result, the two are addressed separately below. The government requires a standardized and highly specific resume. Therefore, using the resume builder found at usajobs.gov to create a resume is the best option. When using the resume builder, the questions should be answered in their entirety, including the sections that are not often required in industry resumes, like hobbies, coursework, or information about High School experiences. There were a number of recommendations pertaining to industry resumes. For the sake of brevity (and reference) I use bullet points to cover the items. The list is further sorted into the broad categories: generalities, content, and design. Resumes should be clean looking and professional. Use 1 page unless you have 10 years or experience. List your strongest assets first. For students, that usually means education is the first section. Tailor the resume to the job application, make sure to address all of the requirements fully. Ensure that each job listed has a job title, employer, date, and location. Do not use summer, fall, or other seasons. Instead list the start and ending months. Do not overly use keywords (e.g., creating a list of skills just to use keywords), simply employ the keywords naturally in the description of your job duties. Use present tense for current jobs and past tense for previous jobs. Eliminate the objective, it takes up real estate and is not helpful. Streamline the resume to cover only the sections and material that represent you well. Remove hobbies, personal interests, previous colleges, and odd jobs if they do not pertain to the job you are applying to. Remove bullet points for obvious jobs. For example there is no need to describe duties for cashier or waitress, unless the duties are atypical. Google resumes from your field and model the good ones. Do not include non-professional links (e.g., Facebook or Twitter). But do include professional links like LinkedIn and your portfolio. Add links these links at the top of your resume with your contact information. Show your expertise, don’t just tell it. Do not embellish or lie. Stick to job duties that demonstrate strong transferable skills. Remove HS and your HS experiences from your resume unless they are directly applicable to the job (e.g., you led the accountants club for 2yrs in HS and you the job you are applying to is an accountant). The only exception is Eagle Scouts. Avoid listing nebulous unsupported claims in a list of skills (e.g,. good communicator, trustworthy), instead show these attributes through examples from your job duties. For example, you might you would list public speaking to demonstrate your confidence in communicating. Remove “I” or “me” and stick with action verbs. List any proficiency with foreign languages in a skills section. In that case, use the modifiers of basic, intermediate, fluency, or native speaker to describe your aptitude in the language. Remove hobbies unless they directly relate to the job. For example, you would keep your guitar playing if you were applying for radio station work. List your cumulative GPA ONLY if it is above 3.0. Do not include your major GPA or substitute it for cumulative. The major GPA can be misleading and can cause confusion once your transcript is reviewed. Include a summary or profile statement at the top of the resume, if you need to explain some transition. In this case, the statement should be your elevator pitch where you pick 3 or 4 of your top assets. Include a few words that support the need for the statement (e.g., “seeking to transition into”). If you are a humanities major, eliminate a skills section and incorporate those items in your list of job duties or courses. If you have a government security clearance, it should be listed on your resume. Try to place it near the top. A summary is a good place to include your clearances. Do not use Word templates, they are a tremendous pain in the long run. Stick to a resume without without tables or boxes. Starting from scratch with a fresh new document is your best option. Use an all black serif font, no color. Make your name and other headings no larger than 14pt bold and text between 11pt or 12pt at most. Use a serif font (i.e., Tahoma, Calibri); it comes across as more formal. Note, there is some flexibility in fonts as sans serif becomes more popular. Send the resume as a PDF, if possible. PDFs will retain your formatting and Word may not. Do not use a full line at the top, it separates information on the page too much. Should anything in this long list be unclear, I’m sure Dana would welcome any questions you might have about this material. Things are looking up for tech writers. The Bureau of Labor and Statistics predicts an above average growth trend for technical communicator positions nationally. Despite the good news, many of us still face a competitive and often frustrating job hunt. We mine through job postings, submit cover letters and resumes, attend job fairs, and meet with college career counselors. Yet, we still cannot land that dream job. What’s missing? How can we get a competitive edge? 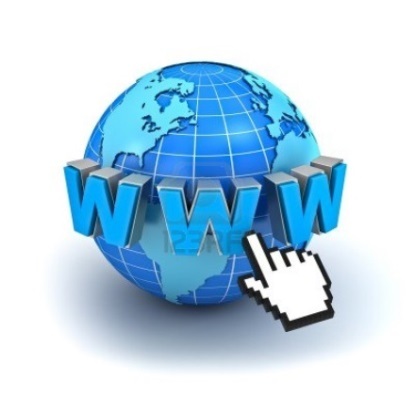 More and more people are discussing the benefits of having a personal website while searching for a job. Forbes staff writer Jacquelyn Smith believes that personal websites are now crucial resources for the job hunter. She finds that a majority of “hiring managers are more impressed by a candidate’s personal website than any other personal branding tool.” Yet, only a small minority of job hunters actually has one. Considering this increased interest by hiring professionals, job seeking technical communicators, always mindful of their audience, should give hiring personnel what they want. The personal website becomes a single dwelling that houses all the relevant information necessary to evaluate the prospective employee. Smith provides a list and explanation of the necessary requirements to promote your qualifications, which includes both traditional forms, like resume and writings samples, and more innovative forms, like links to blogs and multimedia. Including links to your works published online gives employers a sense of your capacity to write in multiple genres. For the tech writer, the personal website becomes an online portfolio. Portable and easily updated, the online portfolio provides human resources personnel an opportunity to review functional examples of your work prior to an interview. Tom Johnson suggests including a “quick reference guide, a user guide, online help file, video tutorial, newsletter article, release note, magazine article, and any other format you can think of.” Experienced tech writers can be discriminating in what to place on the site. Students with limited samples should put what they have available and create samples of other genres. Examples should highlight your diverse skills and demonstrate your ability to communicate persuasively in a sophisticated, relevant, and technically savvy manner. If you remain reluctant, thinking that perhaps it is too expensive to launch this innovative job hunt tool … DON’T. A personal website designed to market yourself as technical communicator par excellence does not require a domain name or expensive hosting. Rather, you can easily create a personal website through various do-it-yourself website builders at no cost. Beautifullife offers a comparison of the top fifteen free website builders and their basic features. Among those making the list, I personally reviewed Wix, Doodlekit, and Moonfruit and found each user-friendly, requiring no coding knowledge whatsoever. All three provide user support to set up and maintain the website. Wix and Moonfruit offer video tutorials, as well as help forums to assist users in the website development. Doodlekit offers a more limited help page through a support forum. Each of these website builders provides various template designs to create the job hunter’s professional online image and to house the owner’s sample work and credential information. Wix, however, offers the most variation and sophistication in its gratis offerings. One notable absence from Beautifullife’s listing, which reviewers note, is Google Sites. Google Sites allows those Google Gmail account holders to create multiple, individual websites – something the other three sites do not allow without a charge. More streamlined than Wix, Doodlekit, or Moonfruit, Google Sites can still generate an aesthetically pleasing self-marketing website through its dozens of templates. Like other website builders, Google Sites offers step-by-step instructions and includes links to video tutorials on YouTube. Easy to use and effective for creating an individual’s basic personal website, Google Sites may serve all the functions you need. One downside of Google Sites, however, is the limitation of situating images on the pages. For the job hunter wanting to include images on the personal website, Wix, Doodlekit, and Moonfruit allow greater maneuverability. Using one of these free website builders not only saves you money, but it also allows you to emphasize your technical communication skills through creative and effective design. Technical communicators, more than most other professionals, benefit from this novel means of presentation because the website itself becomes an example of their work and, if done effectively, should make the sale. Entering the world of technical writing can be an extremely intimidating task. People whose primary skills include a sharp eye for grammar and intuition for style are often startled at how many seemingly unrelated skills they may have to know to land a job. The emphasis on “may” is important—since there are a diverse number of ways that documents can be authored and published now, the task of deciding what you should learn to make your resume stand out becomes daunting. There is plenty of advice out there on what technical skills you should learn as a beginning tech writer, with suggestions ranging from XML to programming and database languages. While these are great things to know, the shift toward using wikis and other forms of web-based documentation leads me to think that, for a technical writer who is totally uncertain what kind of job they’re going to end up in, knowing the basics of coding websites is a safe bet. Even if you end up having to author on a different platform, you can impress potential employers by demonstrating your willingness to acquire technical skills. Luckily, there are an abundance of resources available for learning how to build and maintain websites. Below, I’ve listed what I have found to be the most useful to learn and where I have had success learning these skills. This is not a comprehensive list of the coding skills you might have to acquire as a technical communicator. However, given the increasing focus on web-based documentation, it’s good to at least have a passing familiarity of these essential web languages. Keep in mind that unless you advertise yourself as a tech writer AND web developer, you’re not reasonably going to be expected to be able to build a website from the ground up. Hypertext Markup Language (HTML) can be thought of as the skeleton of a website. It provides the basic structure of a site’s content and is capable of determining to a large degree how it will look. If you choose a single language to add to your toolkit, this is the one to go with. Even if you’re not working with web-based documentation, you will probably encounter HTML if you author any sort of browser-based help system. It may also ease the process if you find yourself having to learn another popular markup language: XML. Cascading Style Sheets (CSS) are used to dictate the formatting of pages written in markup languages like HTML. This is the preferred way to apply a consistent style to websites, as one page of CSS can be linked to all HTML documents on a site. Changes to style and formatting can then be applied by changing one document instead of hundreds. If you think you might be working with web-based documentation, learning this language will probably save you from hours of mind-numbing labor. All of the sites recommended below have lessons covering all of the above languages (and more!). Each site is going to have its strengths and weaknesses and will cater to a different learning style, so it’s good to check them all out and see which ones have lessons that you might be able to get the most out of. The first important thing to note about W3Schools is that it is not actually affiliated with the World Wide Web Consortium (W3C). W3Schools has been criticized for misleading people into thinking otherwise, but many still cite W3Schools as a great source for beginners and a good reference to have around if you forget which tags you need to use in your document. Just don’t give them money for their useless certificates. If the prospect of learning all of these things is still somewhat intimidating, remember that for all of the diverse situations you might find yourself in as a technical communicator, you’re still more than likely going to be working at a computer that has access to the internet. You absolutely do not have to memorize every HTML tag that exists. As long as you familiarize yourself with the principles of each language, you should be able to do some research and find some code that will accomplish what you want it to. I hope this guide helps some beginning technical writers know where to start. Feel free to post in the comments if you have any additional resources that you have found helpful—or if you want to brag about all of the badges you’ve racked up on Codecademy. What is at Stake in Social Networking? Your Job. Back in 2007, a couple of reporters from The Columbus Dispatch surveyed a number of Ohio teacher’s profiles and also provided snippets of their posts and descriptions. In a side bar, they also recounted the tale of 4 teachers who had been “reprimanded, resigned, or lost their licenses because of email, IM, chat, online gaming, text, blogs or postings involving students” (Maranto and Baron 36-37). Recently, the National Labor Relations Board reviewed 129 cases involving social media in someway, where they have found that the crux of the legal issue resulted with an employer unlawfully discharging or reprimanding an employee on the grounds of social networking misuse. Consider also that a year ago, while I was working for a background screening company, I learned it was not uncommon for human resource managers to search the web for additional background information on potential candidates. They were trying to discover what their extracurricular activities included: the results ran the gamut, from drunken sprees and skinny dipping to squeaky clean photos at fund raising events or weddings. So what is at stake in social networking? The quick answer is obviously reputation. Another answer? Your job. My company chose to terminate my employment because of the potential readers in my network, citing that it would reflect poorly on them to have someone like me on their payroll. Someone like me? Who exactly am I to them? A dissident? A slacker? Possibly. The possible interpretation by others was a very real threat and potentially damaging to their reputation as an employer. Thanks to my ruminations on “the ole boss lady,” I wrote my way to the unemployment office. Two things were happening here: 1) My virtual identity was no longer a free agent and 2) the information on my chosen social networking site was no longer just an update among friends. It was public domain and my employer was monitoring the site. What all of this boils down to is intention. Did I intend to mar the corporate image of my company and disrespect my boss or did I intend to sound cool to my friends? As a student, as a teacher, as a technical communicator, it is important to keep in mind your purpose and your audience– just as you would when you are speaking or writing at school, in the classroom as a teacher, or at work in a corporate environment. What’s critical here is not only your self image displayed online, but also the many social spheres your image is tied to. For instance, many corporations now have social media policy that asks you to be yourself, but to be mindful that you are also a company representative. As a teacher, the online world can be perilous. On one hand, networking with students can be a fantastic opportunity to become a virtual representative of and for the interactive classroom. On the other, it could simultaneously undercut ethos and authority, opening the possibility of seeing students as “friends.” The online world may behave differently, with its fast moving bits and clips, but the reputation you build for yourself through dialogue is the same – keep it clean, positive, and professional – and your social network won’t get you into trouble. Post like your mom is reading every word you type. On the flip-side, even if you do have a horrible interview because human resources found some pictures of you doing a keg stand in college, there’s probably still a friend on Facebook that can help you find a lead elsewhere. Want a refresher? Check out this Toshiba sponsored YouTube clip for Do’s and Don’ts of social networking. Bug reports are probably the most hated bits of literature in the lives of software developers, but they’ll always hold a special place in my heart. Writing bug reports gave me my first taste of technical writing, and in fact led me to technical communication as a field. It also gave me my first taste of the kinds of problems that afflict technical communication as an occupation. Bug reports offer interesting insight into the world of technical communication as a whole. For as short and simple as they are, bug reports have all the elements of good technical writing and suffer from most of the same adversities. Namely, most bug reports are bad because technical writers aren’t the ones writing them. By nature, bug reports need to be simultaneously concise and descriptive. If you’re overly wordy, explaining every opinion you have on the software and every detail that led to the bug, down to what you were wearing and what the weather was like, no one’s going to read more than one of your reports. On the other hand, if you submit “This function is not working as intended, please fix,” I can guarantee that some developer somewhere is plotting how best to kill you. Writing a good bug report requires someone who can distill information sent in by angry users and over-tired testers and compile it into something clear, concise, and useful to be sent to hassled and harried developers. In short, it requires tech writers, and unfortunately that’s not who’s writing them. A large part of the blame for this lies in the fact that most people don’t understand why such a specialized vocation is needed. Who would know how to explain something to developers better than other developers, right? Why would you spend money hiring a whole other person to come in and write these reports? While this mindset is certainly troubling, what I find equally worrisome, if not more so, is the over-reliance on technology to do the heavy lifting. With the advent of cheap and powerful bug tracking software, it seems hard to justify paying someone to write bug reports. The important element that’s often being missed, however, is that these programs are excellent organizational tools made to help technical writers, not replace them. Zendesk and JIRA are wonderful, but they just can’t do the work of even a single technical communicator. The problem arises when people believe these programs can do more than they’re actually capable of and assume they’ll do most of the work in making bug reports usable and useful, leaving the actual writing of the reports in the hands of developers who are unqualified to write good reports and busy enough with their own work anyway. The biggest shame if this, in my eyes, is the misuse of what would otherwise be an incredibly powerful tool. Good bug tracking software, in the hands of a skilled technical writer, can allow for tracking trends in software issues, assigning bug fixes quickly and evenly across developers, and responding immediately to users’ problems. It can allow a single person to keep things running smoothly amongst developers, asset providers, and stakeholders. None of this will work, however, without the one thing that bug reporting, and in fact much of the technical communication field, is missing: a competent tech writer to tie it all together. I recently read Technically Speaking: Oral Communication for Engineers, Scientists, and Technical Personnelby Harold Weiss and James McGrath Jr. The book discusses ways members of the scientific community can become better oral and written communicators. As a communication arts major, I started to look back on all my English and communications classes that I had had with any sciene majors and how the hard sciences and liberal arts had interacted together. Mixing the liberal art of communication with hard sciences such as engineering has never been an easy task from what I have seen. They tend to resist each other in the same way two magnets do when you try to push the ends with the same polarity together. But a growing trend is the idea of these two different disciplines working together to make everyone’s lives easier. Everyone’s got a gift for something. For some, the gift is speaking. Others can write. And then there are those that can send rockets to the moon. Then there are the tasks that people do not have much of a gift for. Not everyone was born to sing. Some cannot write. They just do not have the words. Others do not know much if anything about thermodynamics. I myself can write and use words pretty well. But I definitely am not gifted with a talent for any type of engineering. Basic concepts I do get when explanined to me. Go beyond that and I am out of my league. Luckily for me (and all of those others not born to be engineers) there are those gifted with a talent for engineering. Many of those gifted with engineering talents often find themselves not exactly poet laureates. That is where someone like a technical communicator who is gifted with a talent for words and writing comes in. The game is changing. It’s not enough to be a groundbreaking engineer. You have to be able to talk about it to an audience who may or may not have any knowledge of engineering in an articulate fashion. And this is not always an easy task. It can be difficult to translate technical jargon into common everyday language. 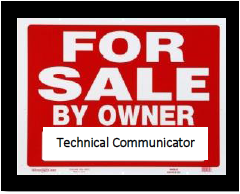 Enter technical communicators. They can use their gift of writing and words to help show off the talents of a great engineer in a way that people can more easily comprehend and thus appreciate more. Everyone has gifts and it is important to share those gifts with others. Engineers and scientists are some of the most brilliant people in the world. Many of them do work that I cannot even begin to fully comprehend. But not everyone in the world can know and appreciate this because these same brilliant engineers and scientists just do not have a gift for oral and written communication. In steps technical communicators, who have a gift of words and writing. Why not let the gifts and talents of one discipline help show off those of another? Engineers and scientists need to share their brilliant work with the masses who may or may not be engineering experts. Technical communicators can help engineers and scientists accomplish this task. The engineers and scientists get to show the world their brilliant work. Technical communicators get to use their gift and writing and words to help. And people get information presented to them in a comprehensible manner. Engineers and Scientists brilliant work + Technical Communicators writing and words = Brilliant work that can be understood and appreciated by everyone a.k.a Happy People.